Inspiration doesn’t come much brighter than when it’s packaged in the form of one of the world’s magnificent landmarks. From the mountains of Peru to the jungles of Cambodia, the ultimate landmark bucket list is waiting for you to conquer. Travelling delights us, promotes a sense of wonder and takes us on a journey through nature, history and the incredible feats of humankind. Breathtaking landmarks dot the globe as a reminder of this and creating your own bucket list to discover them, is an investment towards pure inspiration. Let’s take a look at some of the world’s best. 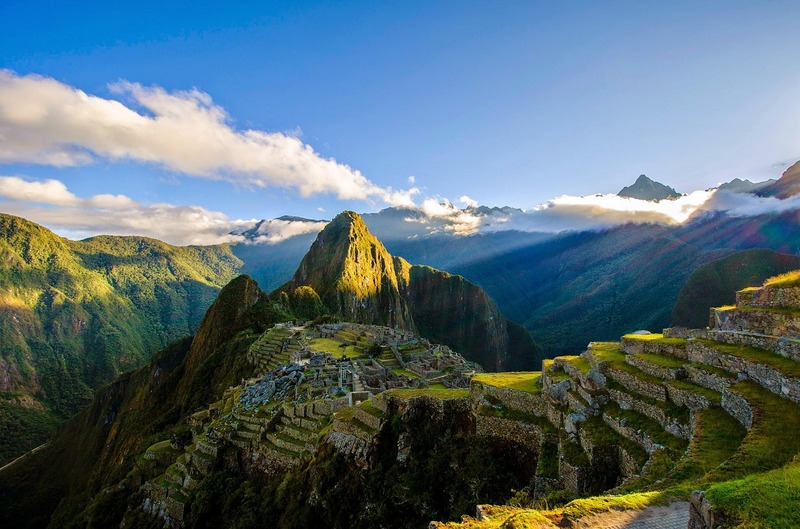 The complex of palaces, temples, homes and plazas we know as Machu Picchu was built by the Inca Empire. The city was forgotten until the early part of the 20th century and the mystery surrounding it is only matched by its dramatic, mountainous location. If you love hiking, take the Inca Trail over six days to reach the site, or catch a train from Cusco, along the scenic Urubamba River. Rising from the jungle in perfect symmetry, Angkor Wat lies at the heart of Cambodia’s spiritual culture. Rising from the jungle in perfect symmetry, Angkor Wat lies at the heart of Cambodia’s spiritual culture. Built in the 12th century as a Hindu temple dedicated to Vishnu, it’s believed to be the world’s largest religious building. To discover its mysterious magic, base yourself in the city of Siam Reap and hire a driver, or take a cycling tour. Home to reflective pools, manicured gardens and over 100,000 ton of marble, Sheikh Zayed Mosque is a key place of worship, in Abu Dhabi. Created by the first president of the United Arab Emirates, it accommodates over 40,000 people and contains the world’s largest loomed carpet. The masterpiece of modern Islamic architecture is open to visitors during non-prayer times. A dome designed by Michelangelo is enough to propel a structure onto a bucket list, but St. Peter’s Basilica is also one of the largest ever built. In Vatican City, It stands on the traditional site were the apostle, Peter, was crucified and buried. To enter the church, you first cross the fountain-flanked St. Peter’s Square, which is a fitting welcome to Italy’s most lavish church. You’re unlikely to ever forget your first glimpse of the Taj Mahal glowing in the light. 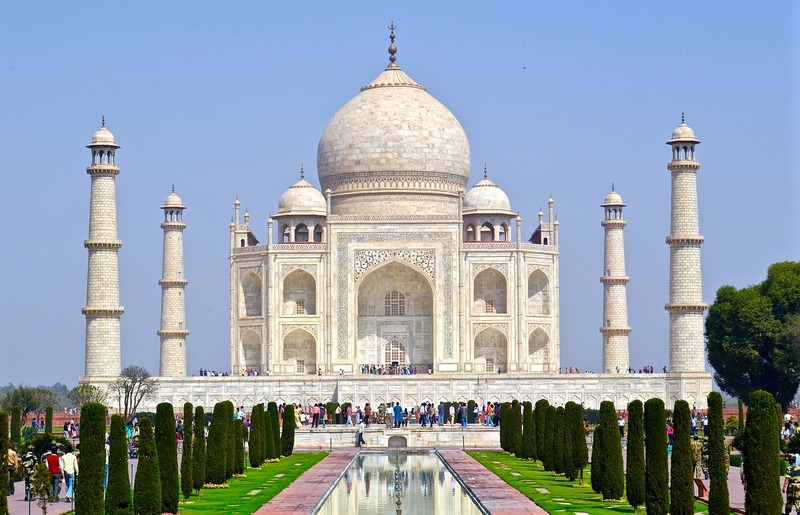 The white marble structure, perched on the banks of the River Yamuna and surrounded by ornamental gardens, is widely considered one of the world’s most beautiful. To add to its romantic splendour, it was built in 1632 by Mughal Emperor Shah Jahan, to house the tomb of his wife and as an ode to his love for her. The only problem with creating a landmark bucket list, is that it’s highly addictive. The good news is, the world is simply full of them, so there’s no need to stop your inspirational discovery.